Dr. Ilia Leitch, from Royal Botanic Gardens, Kew, added: "We argue that genome size needs to be considered in ecological models that are describing ecological processes. The functionality of these ecological models is essential if we are to establish good policy to mitigate against the negative effects of climate change, changing land use, eutrophication of our environment and to conserve our endangered species." Wow. 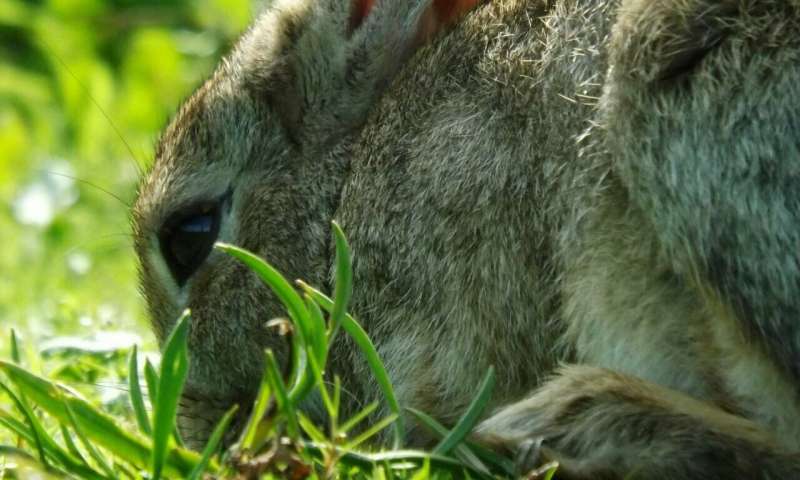 Author is trying hard to link rabbits eating DNA to climate change. When will this nonsense stope? I'm guessing you are just another slacker layabout hiding in his mommy's basement & have no experience in the workplace. When the alarms go pff? It's time to start paying real close attention to what is going om around you. Another guess is, you are either home schooled or church schooled? So you were never taught any useful advice. hmmph? "The canary is in a coal mine for a reason. Disregarding it's purpose is detrimental to your health & survival." bart, you can hide from the world all you want but that attitude accomplishes nothing that will benefit you. This is the only Habitable Living World available. Save it to savr yourself.